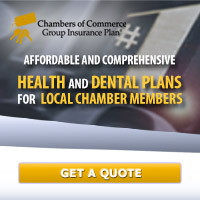 Welcome to the Magrath and District Chamber of Commerce website. Here we document our efforts to improve our town, 'The Garden City' aka the Town of Magrath and surrounding areas. The Chamber has existed in the past from time to time. In 2010 Mr Jay Mackenzie and other business minded individuals pushed to start the Chamber up again. This website aims to serve a two fold purpose: first, to present our members and their contributions to the public, and second, to aid our members in their work within the Chamber. Join or Renew Membership: 2018 Invoices! Your ideas, Your town, Come join us! 6pm Mar 12 2019 AGM at new Belay Wealth Building (across from Alston Scout Park). Everyone welcome! Hometown Christmas is coming to Magrath on Thu evening 29 Nov 2018. Event Details. Book your table at 1stC via Mr Bruce Jackson! Axia Fibernet 10x is Coming! Our Google Custom Search page is configured to search our Magrath Chamber pages for content you need ..
What is happening at your Chamber? Check out our Projects page ..